Alessandro Tropical Jungle - LE Summer 2015 - Cherry Colors - Cosmetics Heaven! The Alessandro tropical jungle LE has come to town! It's a mix of beautiful neon shades, which look fantastic on any skin tone! They come in the regular ol' polish versions (minis), full sized peel off (striplac) bottles, LED Gels and UV gel pots (for professionals). These are all the pretty colors in this collection. I must say the photos are kind of.. too bright. Like over done? The colors are a tad darker in real life - especially the Fantasy Island one, which is a VIOLET color! These are the three I got. The lovely Fantasy Island, Pinkini and Mintastic Jungle. So far I have tried only two of them, and I will add another picture once I wear the last one. I wore the Mintastic Jungle for 5 days and had only white tips visible, which is amazing! Also they dry incredibly fast with a satin finish. I prefer a glossy look, so a top coat is a must. 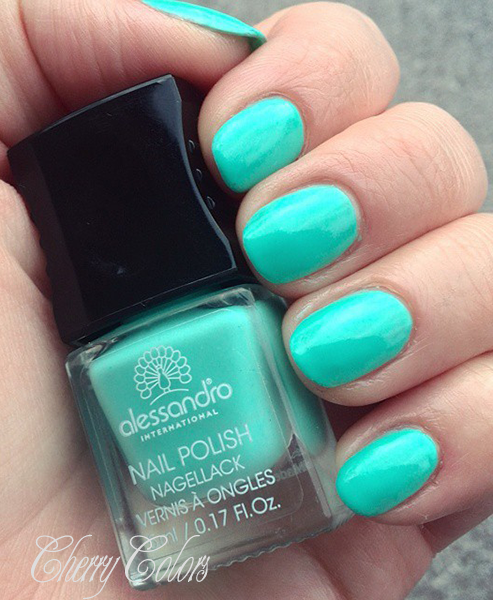 This mint color makes my pale hands look even paler! So I think I will definitely sport it more during winters, haha. 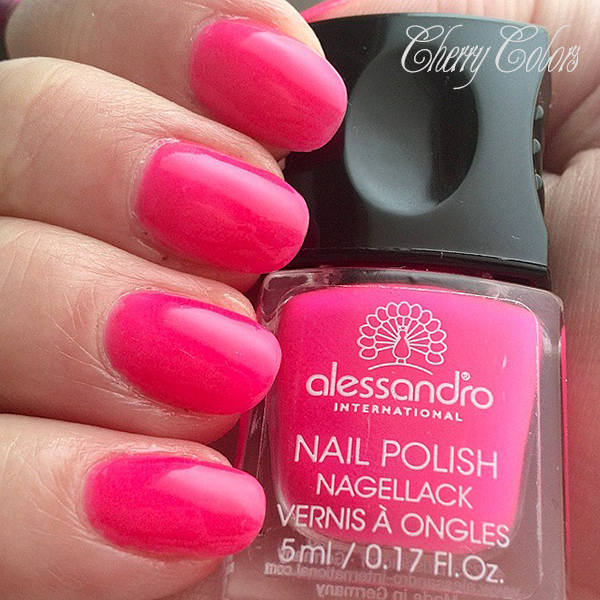 This pink is lovely, I have another one that is similar - Illamasqua Collide which I am currently wearing as a pedicure. The application was flawless - two layers and that was it! Fantasy Island is a lovely deep purple that doesn't want to show up right on pictures. Did you see any of the colors that you like? I am a huge fan of neons! My first collection of them was with the Essence neon LE, back when I started blogging :).